Orbit Communications has introduced a new standalone temperature monitoring solution designed to prevent over-temperature conditions in server rooms. Australia is experiencing some of the hottest days on record for this time of year and is headed for a sizzling summer. Given the hot ambient conditions, it is important for companies to ensure their server room stays within acceptable temperature limits, which is critical for continued operation of the system as well as access to valuable information required by the organisation. Failure of the air-conditioning system is one of the most common triggers for over-temperature conditions in a server room, and could be caused by something as simple as a blown fuse, which could be fixed in a matter of minutes. However, when the issue is not notified in time, it can lead to a total system shutdown. The new Serverlert system from Orbit Communications is a standalone solution designed to continuously monitor server room temperature and mains power. The system instantly sends an SMS alert to up to 10 mobile phones in the event of a problem, ensuring that the issue is fixed in the shortest possible time, thereby preventing expensive downtime and possible loss of data or equipment damage. 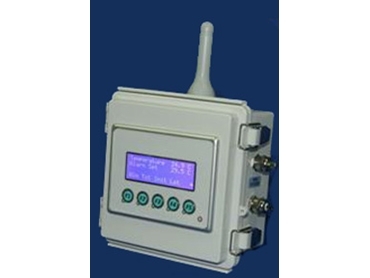 In addition to over-temperature notification, the server alert system provides mains failure alert and offers the ability to access the current temperature at any time from any mobile phone.